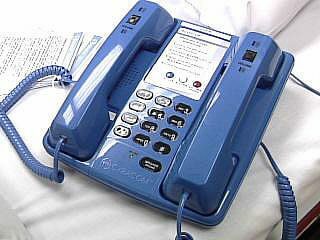 Our provider’s patented dual-handset phone technology revolutionized the delivery of Over-the-Phone Interpretation and they have continued to deliver language service excellence ever since. With over fifteen hundred healthcare clients and a comprehensive portfolio of language services, our supplier provides the expertise and solutions to meet your organization’s language needs. Interpretation and translation solutions exclusively endorsed by the American Hospital Association. Chosen through the AHA Signature Due Diligence Process™. AHA endorsed services and vendors demonstrate outstanding commitment to healthcare and dedication to hospitals in their pursuit of excellence. All interpreters advanced healthcare-focused trained. Member of the National Council on Interpreting in Health Care (NCIHC) and the California Healthcare Interpreting Association (CHIA). Over one-hundred and seventy languages accessible twenty-four hours a day, seven days a week, three-hundred and sixty-five days per year, on any phone, in fifteen seconds or less on average across all languages. Professional linguists, online ordering portal, project management. On demand access twenty-four hours a day, seven days per week, certified ASL interpreters, accessible through computer or video conferencing unit. One hundred and twenty hours of classroom instruction in medical interpretation for all staff interpreters. Forty hours of intensive study in anatomy and physiology, medical procedures, common medical conditions, and medical terminology. United States based contact centers enable close monitoring and quality assurance. ISO 9001:2008 certified. The first OPI provider in the U.S to achieve ISO certification, the international standard defining quality. Interpreter quality assurance process ensures accurate interpretation. Local and regional support teams. On-site, staff in-servicing on how to utilize OPI services and work effectively with an interpreter. Assistance with developing and maintaining an effective Language Assistance Plan (LAP). Twenty-four hours a day, seven days per week, three hundred and sixty-five days a year client service support. One of the largest providers of language services for healthcare. Represented in the Certification Commission for Healthcare Interpreters. Local and regional support teams assist with strengthening your language assistance program. Interpreter access in fifteen seconds or less, on average. United States based contact centers provide increased efficiency, confidentiality and quality. Fully redundant systems provide 99.999% availability. Real-time reporting for trend analysis and forecasting. 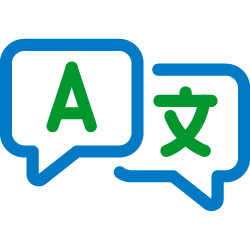 If you would like to receive more information regarding language translation services, please call or complete the form on the bottom of this page.